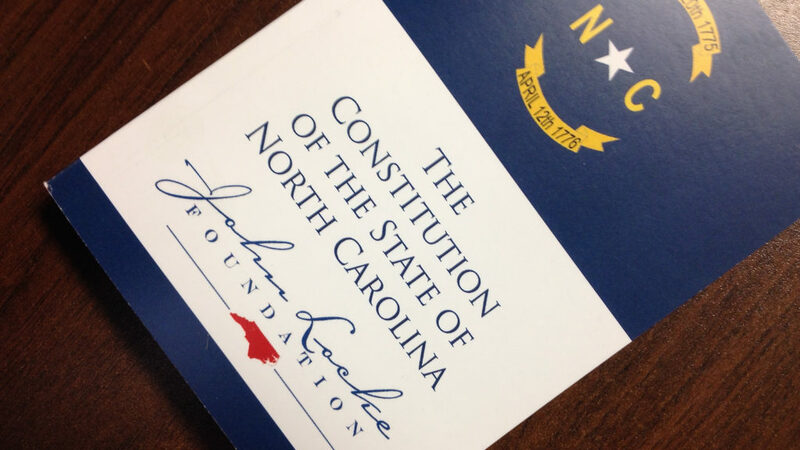 State lawmakers could vote to expand North Carolina’s Supreme Court by up to two additional members, according to the N.C. Constitution. There’s been speculation about such a move in the wake of challenger Mike Morgan’s victory over incumbent Bob Edmunds in this week’s state Supreme Court election. The court is officially nonpartisan, but the current composition of the seven member court features four Republican justices and three Democrats. Morgan is a Democrat. Edmunds is a Republican. So Morgan’s victory flips the high court from a 4-3 Republican majority to a 4-3 Democratic majority starting in 2017. Observers have asked whether the N.C. General Assembly could expand the number of justices to blunt the election’s impact. The answer is yes. Article IV, Section 6 of the N.C. Constitution spells out membership of the state’s highest court. Expansion beyond eight associate justices would require a state constitutional amendment. If Republicans hope to expand the high court in order to add Republican justices, their time might be limited. Current election returns suggest Democratic Attorney General Roy Cooper will take office as governor in January. The governor appoints members to vacant court positions, as spelled out in Article IV, Section 19. There is no current plan for the General Assembly to return to Raleigh before Jan. 11, 2017. But Gov. Pat McCrory has said he expects to call lawmakers back to town before the end of the year to address issues related to Hurricane Matthew recovery.